It's not easy to pick up your life and move to a new country for work. You might be scared to quit your job at home and not feel ready to follow the little voice inside you, telling you the world is out there, waiting for you. 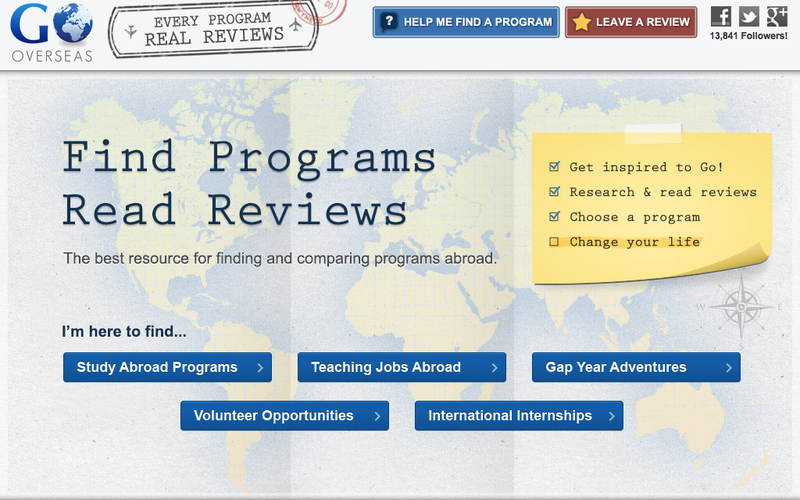 You might not be sure how to make your dreams of a life abroad a sustainable reality. Leaving home and moving abroad can be confusing, difficult, and may present challenges which seem insurmountable. However, once you are out there in the world, living the life abroad you wanted for yourself, it could be the best decision you ever made in your life. 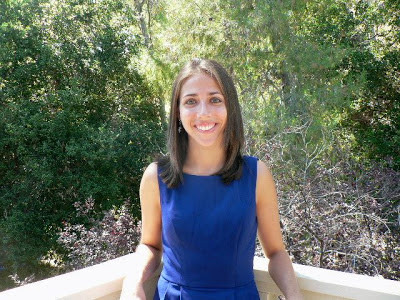 I recently came to know Alexa Hart, founder of Atlas Sliced. 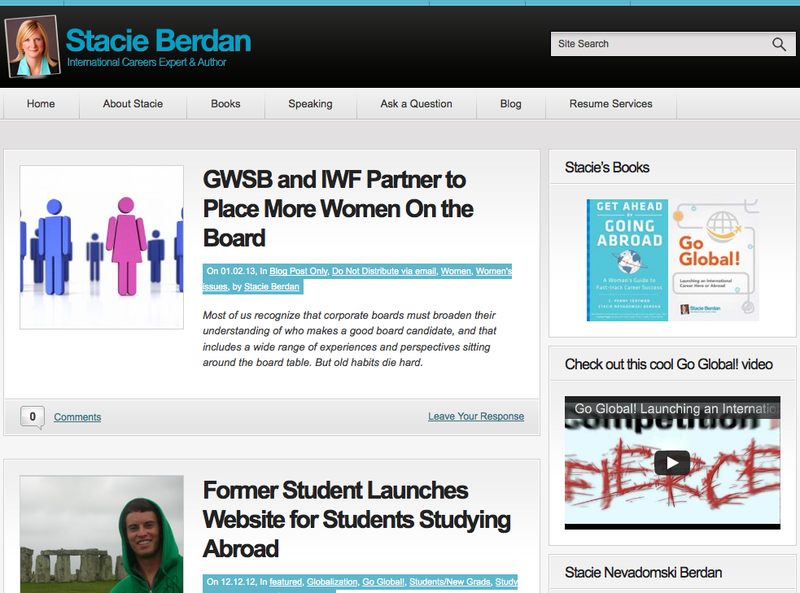 Her website is a collection of the experiences and success stories of expats living, working, and travelling around the world. With her access to so many expats, I asked her to compile a list of resources for those looking to start a life abroad. She agreed, and I'm proud to share this comprehensive list with you here. 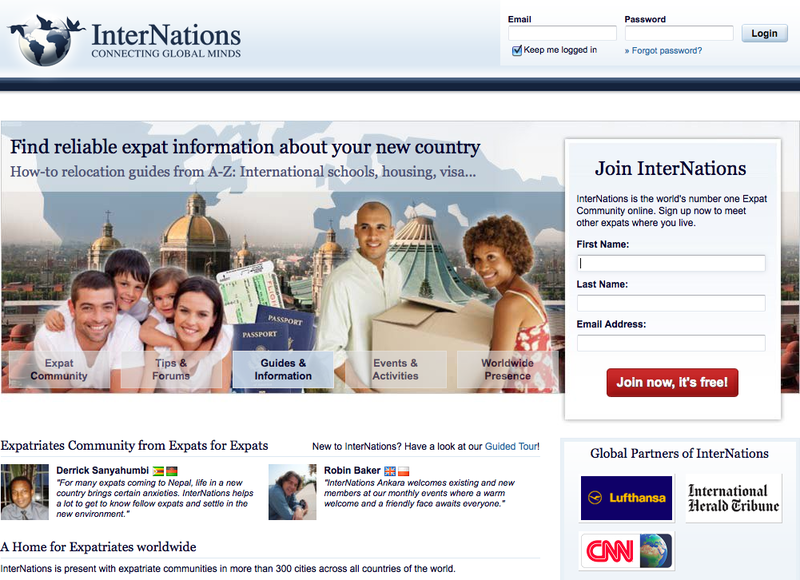 If you’re looking to live or work abroad long-term, look no further. As the founder and host of Atlas Sliced, I have had the privilege of interviewing inspirational people who have held incredibly unique positions all over the globe. 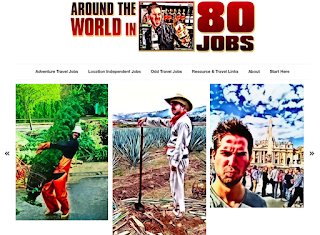 From location-independent jobs (like writing) to in-country jobs (like teaching) to “hustler” jobs (like working as a waiter or in sales), my guests have fulfilled their passions for traveling and experiencing the world in new surroundings. Here, I have listed in alphabetical order my top resources and recommendations for launching your life abroad. 1) Around the World in 80 Jobs – Turner Barr is the man behind this site. He has done some very unconventional work, like harvesting agave in Mexico and selling gluhwein in Germany. While his posts may be controversial and are sometimes riddled with bad words, he shows that you can find work just about anywhere. All it takes is perseverance and entrepreneurial creativity. 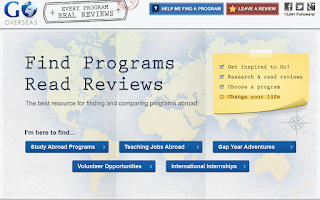 2) Go Overseas – If you’re thinking of traveling with an organization, Go Overseas is a one-stop shop for finding volunteer organizations, teach abroad opportunities, study abroad programs, and internships overseas. What I like about Go Overseas is that real people review their own experiences, and there’s no backlash for writing negative reviews. What also drew me to them is their team of talented writers and guest writers, who provide accurate, unbiased, and useful information about living abroad. 3) Grassroots Volunteering – Not digging paid programs? Understandable. 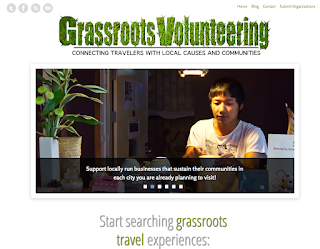 Grassroots Volunteering is a relatively new site that lists FREE volunteer programs (some are paid) and opportunities around the world. 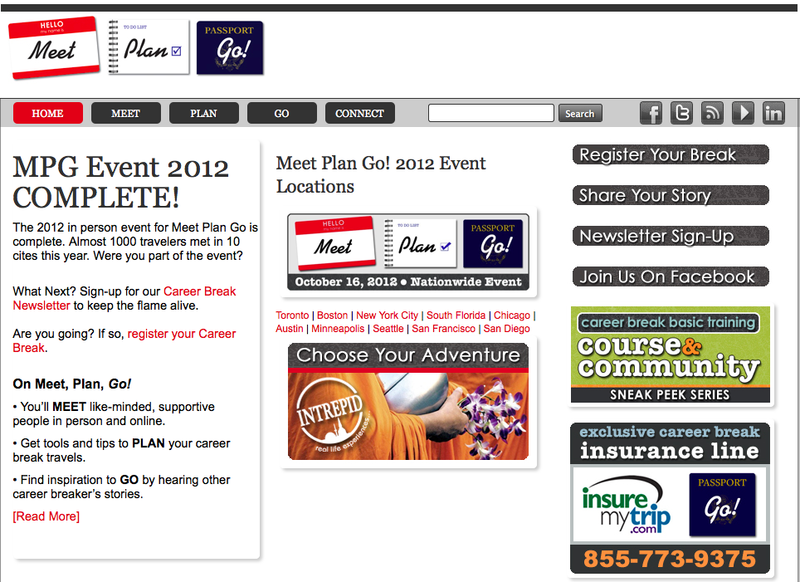 I’m excited to see the site develop even further, as there are already quite a few meaningful organizations listed. 4) Idealist – Idealist is a fantastic website that lists jobs, volunteer work, and internships all over the world. 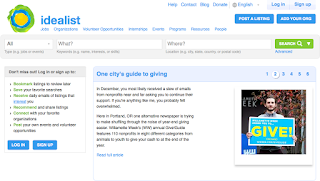 Most organizations on the site revolve around some form of civil service and giving back to society. 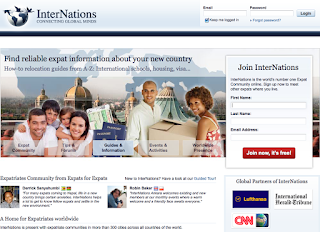 5) InterNations – InterNations is a site that connects expats with each other. It’s a great way to meet new people when you move to a foreign country, as they hold regular events in various cities for people to network and mingle. 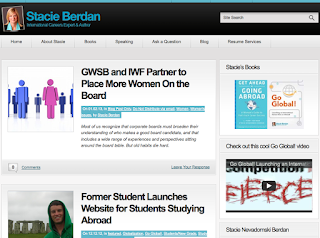 Another feature they have on their site is their forums. People can post questions or comments about job openings, housing, or any other inquiries they might have to the community. 6) Leslie Forman – Leslie Forman is a gem! She is a California native who has lived abroad extensively, mostly in China and Chile. 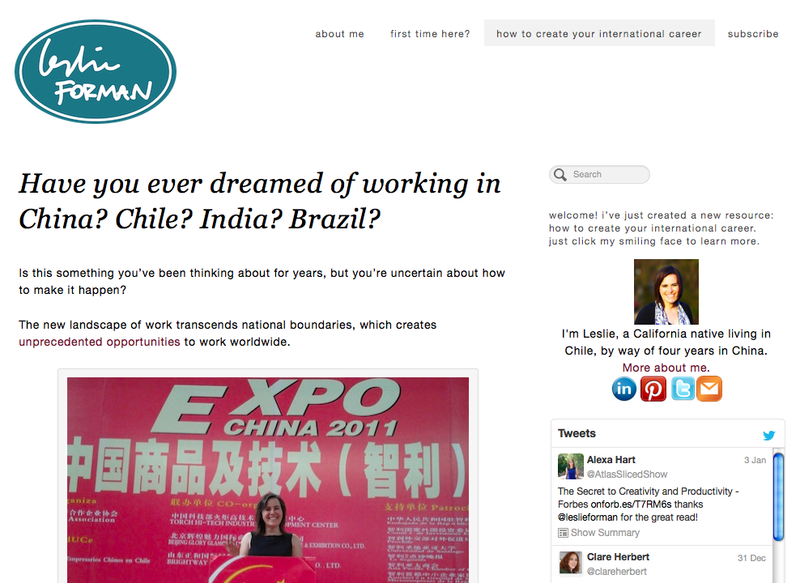 She created a free, month-long course titled “How to Create Your International Career.” The course is packed with fantastic content and resources to get started. She’s also in the process of writing a book on this topic. 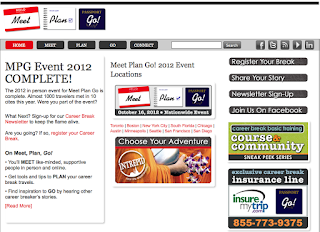 7) Meet Plan Go – Meet Plan Go is an excellent site for inspiration and how-to advice about taking a career break or traveling long-term in general. Their national and local events are also a great way to meet like-minded individuals who have already lived abroad or who want to spend time overseas. 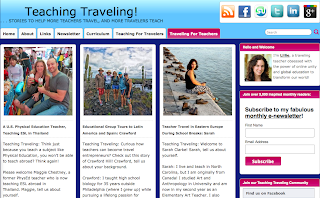 9) Teaching Traveling – Want a teaching job overseas, but you’re not sure where to start? You’ve come to the right place. Teacher Lillie Marshall, founder of the site, interviews people who have taught all over the world. 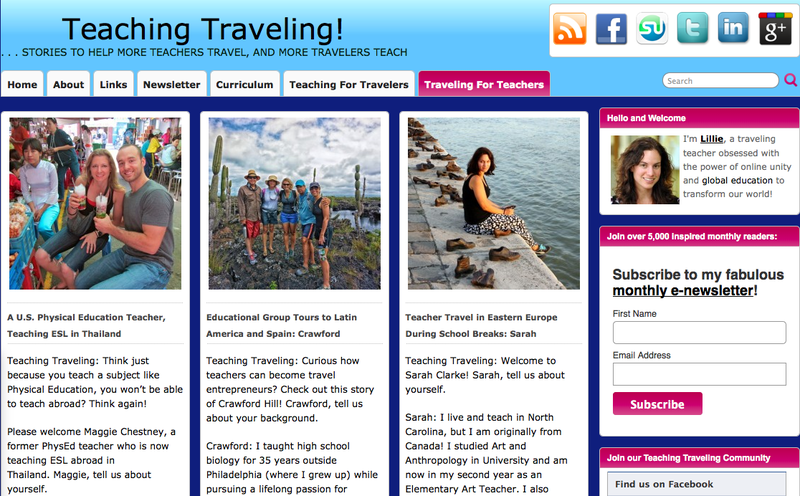 What I love most about Teaching Traveling is the first-hand accounts of people’s experiences abroad. 10) Thrilling Heroics – If location independence is the way you like to roll, Thrilling Heroics is the place to be. 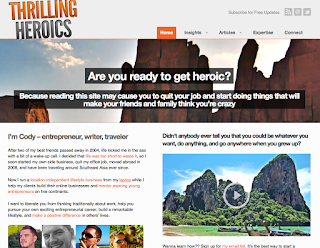 Founder Cody McKibben is a digital nomad who is living a pretty exciting international life, as he is able to work from anywhere. He helps people build location-independent businesses online, and he has a slew of great articles on his site about how to get started. Any other sites you like or recommend?